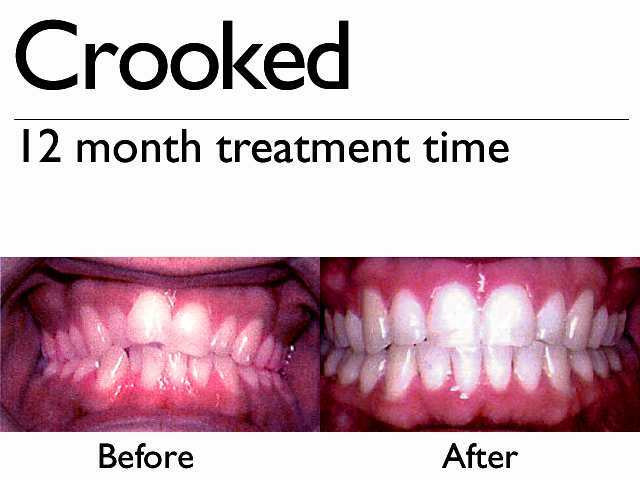 Having beautiful straight teeth can lift your confidence and boost your self-esteem. That’s why there’s no better time than now to transform your smile with Invisalign®. Invisalign® is the virtually invisible and hygienic alternative to braces that lets you keep smiling during your treatment. Invisalign uses a series of custom-made, clear, removable aligners that gradually move teeth toward the smile you’ve always wanted. Invisalign is so discreet; most people won’t even notice you’re wearing them. Ask Dr. Susan Leonera-Salazar if Invisalign is right for you. metal or wires also means you spend less time in the doctor’s chair getting adjustments. for comprehensive orthodontic treatment. With Invisalign, this is now possible. Using advanced computer technology, Invisalign generates a series of customised “aligners”. Each aligner is worn sequentially by the patient to produce extensive tooth movements in both upper and lower arches. 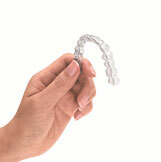 Over 1.4 million patients worldwide have been treated with Invisalign and the number grows daily. Invisalign was launched in Australia in February 2002 and already over one thousand Australian orthodontists and dentists have been trained to treat patients with Invisalign. Do orthodontists and dentists need special training in order to use Invisalign? While Invisalign can be used with virtually any treatment philosophy, specific training is needed. All orthodontists and dentists interested in treating patients with Invisalign must attend a training course before a patient’s records can be submitted to Align Technology. Our dentist, Dr. Susan Leonera-Salazar, has been trained to treat patients with Invisalign. Like brackets and arch wires, the Invisalign aligner moves teeth through the appropriate placement of controlled force on the teeth. The principal difference is that Invisalign not only controls forces, but also controls the timing of the force application. With each aligner, only certain teeth are allowed to move, and these movements are determined by the orthodontic treatment plan for that particular aligner. This results in an efficient force delivery system. Book an appointment with Q1 Dental Care today for an initial consultation by calling (02)62994822 or emailing contactus@q1dentalcare.com.au. Have Invisalign conducted clinical tests or studies? As is typical of medical product introductions, Invisalign conducted extensive testing prior to commercially releasing the product. Various US universities have conducted clinical studies and numerous clinical articles have been published by US and Australian orthodontists. In most cases, the cost of Invisalign is comparable to the cost of adult ceramic braces. However as with other medical treatments, the cost of treatment is determined by the prescribing orthodontist or dentist and is based upon the complexity of treatment required and the schedule of fees charged. Q1 Dental Care offers flexible and affordable payment plans. 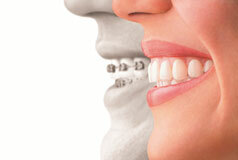 Invisalign is an emerging form of technology within orthodontics in Australia. It often takes insurance companies to formally recognise new technologies in their policies. Please consult your treating orthodontist or dentist to ascertain the type of treatment you will be receiving and determine their billing policies in relation to private medical insurance. Invisalign Australia can provide assistance if necessary. The charge for Invisalign is based upon the consultations needed and the 3D modelling cost. Single arch treatment does not mean that the price will necessarily be halved from the two arch treatment cost. Please call us to know more about pricing. Does Invisalign have a guarantee? Invisalign is as effective at straightening teeth as traditional methods of orthodontics but largely depends upon a patient’s biology and compliance with treatment. As such, Invisalign cannot guarantee that a patient’s teeth will move exactly as predicted. The treating orthodontist or dentist is responsible to use their experience and skill to treatment plan and monitor the appropriate treatment as it progresses. If necessary, additional treatment with Invisalign or other forms may be needed. Discuss this further with your dentist during your initial consultation. Invisalign does not treat patients. Orthodontists and dentists do, and with experience they can use Invisalign to treat a vast majority of adults and adolescents who want a better smile. For more information on what types of cases can be treated or to see if your type of dentition is suitable for Invisalign treatment, call Q1 Dental Care today. Align Technology defers to the professional judgment of the treating doctor in determining how Invisalign can be incorporated into the treatment plan. Align Technology almost never rejects the cases submitted by our doctors, as we currently accept over 98% of all cases we receive but only an orthodontist or dentist who has been Invisalign trained can determine if Invisalign is an effective option for you. What conditions would make me unsuitable for Invisalign? Yes, Invisalign can correct mild to moderate overbites. The aligners create a force on the front teeth causing them to intrude, thus correcting the overbite. Yes, certain dental conditions can restrict you from being an eligible patient – for further information, please consult your orthodontist or dentist. Cases that are difficult or unsuitable for Invisalign may include up-righting severely tipped teeth, cases where not all the permanent teeth have erupted, cases with multiple missing teeth, patients with poor periodontal condition or patients that want to change their facial profile. TMJ refers to the temporomandibular, or jaw joint. Individuals can have a number of problems with the jaw joint, some of which can be aggravated by appliances and treatments like Invisalign. To find out if your TMJ problem will adversely impact orthodontic treatment, consult our dentist. After or during the initial consultation, your treating dentist will need to take x-rays, photos and moulds of your teeth. These records will be sent to the USA to be used to manufacture your custom made aligners. This process will take approximately 6 weeks (from the time the records are sent to the USA to the time treatment can begin). Your dentist will schedule regular appointments – usually about once every six weeks. This is the only way your dentist can be sure that the treatment is progressing as planned. Most people experience temporary, minor discomfort for a few days at the beginning of each new stage of treatment. This is normal and is typically described as a feeling of pressure. It is a sign that the Invisalign aligners are working — sequentially moving your teeth to their final destination. This discomfort typically goes away a couple of days after you insert the new aligner in the series. No. Unlike traditional orthodontics, you can usually eat whatever you desire while in treatment because you remove your aligners to eat and drink. Thus, there is no need to restrict your consumption of any of your favourite foods and snacks, unless instructed otherwise by your dentist. Also, it is important that you brush your teeth after each meal and prior to reinserting your aligners to maintain proper hygiene. You should remove your aligners to drink anything else except water. Leaving aligners on while drinking may stain them and the patient may risk tooth decay if they drink fluids with sugar in them. While we are aware that some patients are using aligners for bleaching, Align Technology, Inc. has not examined the compatibility of currently available bleaching products with our aligners, nor have we demonstrated efficacy in clinical studies. 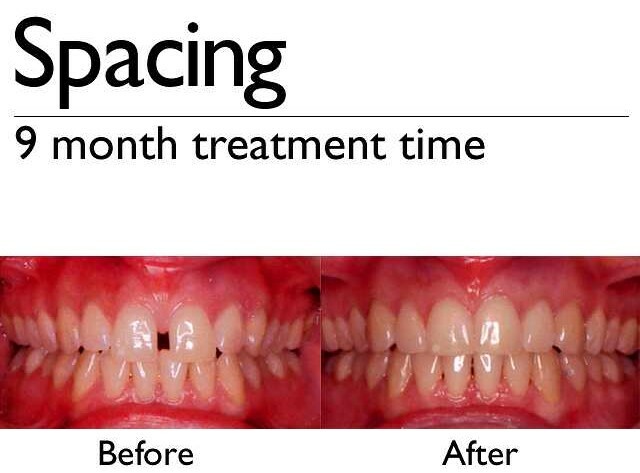 Align recommends that you consult your orthodontist or dentist for more information on whitening teeth. This depends on the outcome of the treatment. 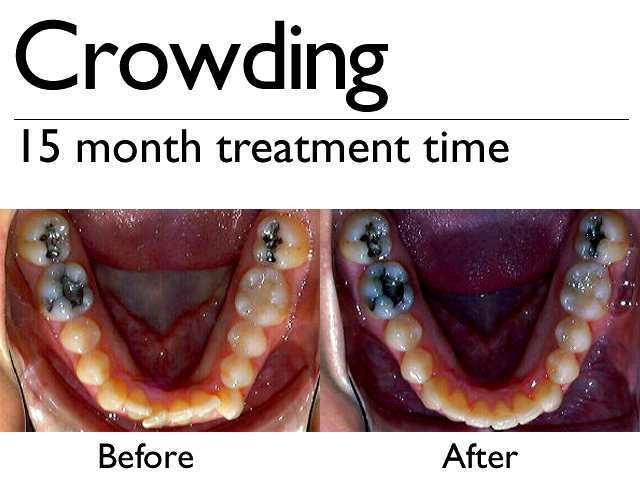 Some patients might need a positioner, or conventional retainer. 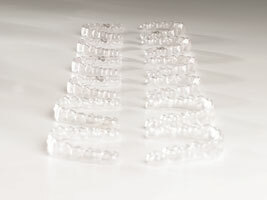 Other patients might need a clear plastic retainer similar to Invisalign aligners. Discuss these possibilities with your treating dentist. Every patient is different and outcomes vary. In this case you should contact your dentist immediately who will diagnose what remedial action is needed to bring the treatment back on course. This may involve moving back one or two stages in treatment to a previous aligner or possibly some additional orthodontic treatment.